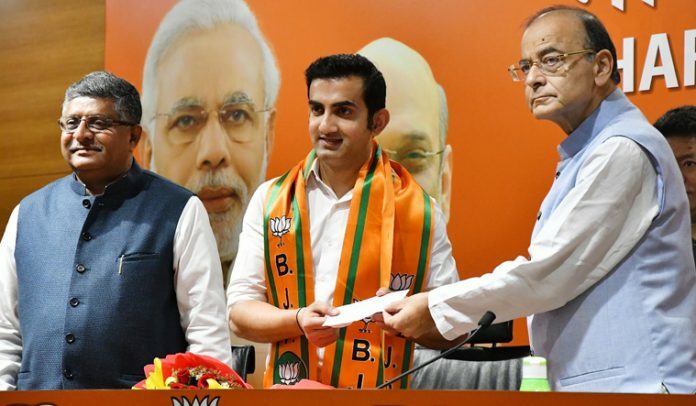 Former cricketer Gautam Gambhir has joined the Bharatiya Janata Party on Friday. Gambhir had retired from the game in December 2018 and the news of him joining the party was expected for some time. “I am honoured to get the opportunity to join this platform,” Gambhir said. He is likely to be allotted a seat from Delhi for the coming Lok Sabha polls. Gambhir played a key role in India’s triumph in the 2011 World Cup and the 2007 T-20 World Cup. He was recently conferred upon the Padma Shri award. BJP sources said Gambhir may be fielded from the New Delhi constituency, currently represented by the party’s Meenakshi Lekhi. A final decision is yet to be taken though, they added.